Getting the orgone out in Grass Valley. It’s fun to be gifting in unfamiliar territory – trees everywhere, long roads with no idea where they lead – makes for fun adventures. Been getting to make some really nice pendants lately, and they’ll be up soon: Labradorite, Lepitolite, Fire Agate… stuff we’ve been holding on to for a while; now it’s time to create. The Orgone studio is coming along great also. We’ll have some pictures soon. We’re looking forward to putting in a salt water fountain for storing and cleansing crystals. Finally started pouring again. It’s been about a six week break with the move and all since I’ve made orgone. 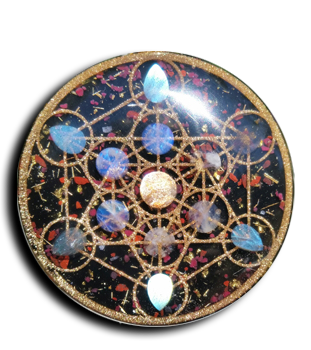 The orgone that I did make in this short time has been exceptionally strong, some pieces I can’t even put down. I think it’s because of all this stored up creative energy I’ve got right now. There are a lot of projects that I want to get too. One of them is the Roerich Peace Pact Pendants that will be available in a limited edition series. A year ago this month I made myself a pendant designed with a sterling silver peace pact. It is one of my favorite pendant, it has always received a lot of attention and compliments. The energy coming off of it is powerful. I use it to charge my food and water everyday. The design is the international symbol for peace. Surprisingly, the silver work in the pendant started turning gold. After a year, the difference is amazing! Silver wrapped double terminated crystals. Diamond Dust – super rare! Meteorite Shavings – super rare! The Meteorite shavings actually need some describing because they are so interesting. In the 1800’s a large meteorite landed in Africa. It was found by village people and was brought to the ruler of the land. He held on to it for some time but it eventually ended up in a museum. Many years later it was sold. Our friend Elliot, was asked by the guy who owned it to make it into bars. It was hard work, but Elliot got it done and kept all of the shavings from the process! The shavings are metal; Iron with Nickel crystals inside. They are really pretty with a burnt rainbow hue to them. 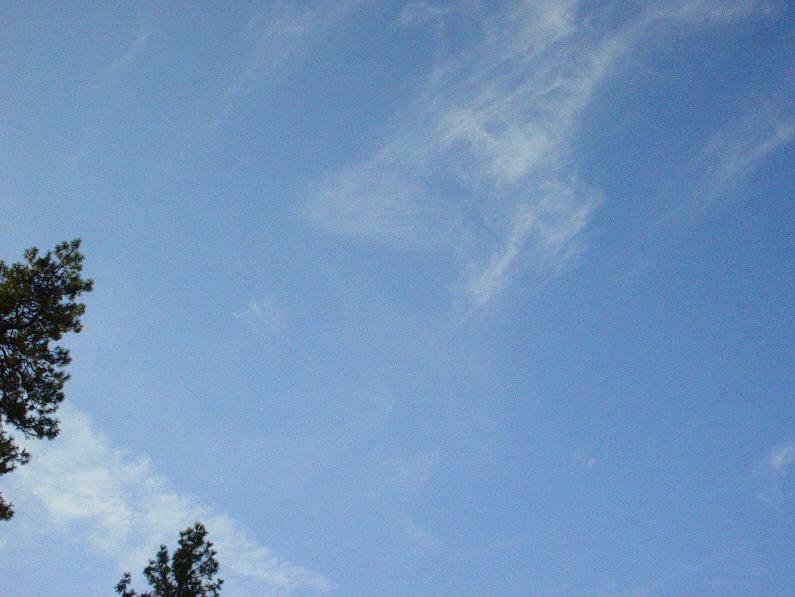 Interesting actvity over our freshly planted chembuster…. Get the latest Orgonix23 Products, Discounts, and Events by submitting your name and best email address to the right side. Remember to confirm your email address once you’ve signed up. Today was our last Artist Market in Santa Fe. It was great to get out one more time and see everyone. We’ll miss you guys! Thanks for all the love and support. After more than a year in Santa Fe, we are moving to Northern California. It’s going to be a nice change. And our new studio promises to hold the space for making some of the finest orgone anywhere.